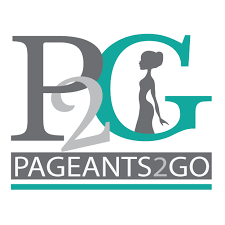 Currently the reigning National All-American Miss Teen for National American Miss, Tayah began her journey in pageantry in 2010 after receiving an open call letter from National American Miss. As a contestant in the Central Florida circuit for 9 years and winner of her fair share of awards, she embarked on her journey to the national crown in mid 2018, ultimately resulting in her crowning. Tayah has several platforms that she is passionate about: Bridging the gap of inclusivity for those suffering from disabilities; Hunger and Homelessness reduction; and environmental issues. Through her passion and desire to see change in each of these service areas, she has donated time with the Best Buddies organization of Central Florida, Autism Speaks of Central Florida, Miracle League of Central Florida, HOPE Helps, and Clean the World. Not only is she igniting change in her community, she’s also a student at the University of Centeal Florida where she is an Industrial Engineering major and member of the LEAD Scholars Academy and Society of Women Engineers.